"Sampath Speaking" - the thoughts of an Insurer from Thiruvallikkeni: how good is your pronunciation ? Liam Dutton of Channel 4 reads 58 letter place name !!! how good is your pronunciation ? Liam Dutton of Channel 4 reads 58 letter place name !!! 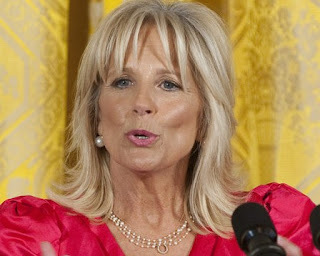 Jill Tracy Biden, is an American educator, married to the 47th and current Vice President of the United States, Joe Biden, making her the Second Lady of the United States since 2009. She is in news – reportedly managing to mangle the pronunciation of her hosts at Macomb Community College - more than once. She reportedly kept trying until she got it right -"Ooh, you're correcting the teacher," exclaimed Biden, a fulltime community college teacher. A settlement has existed on the site of the village since the Neolithic era, with subsistence agriculture and fishing the most common occupations for much of its early history. The island of Anglesey was at that point reachable only by boat across theMenai Strait. The area was briefly invaded and captured by the Romans – the large village now, has a peculiar and long name, thus making it to news !!............ thelong form of the name was invented for promotional purposes in the 1860s; with 58 characters it is the longest place name in Europe and the second longest official one-word place name in the world. Dusi, Sevilimedu, Nemili, Seevaram, VadaMavanthal, Suruttal, Vadakalpakkam, Vazhavandal, Thiruvadirayapuram, Kizhnelli, Karanthi, Sumangali, Perumanthangal, Thandappanthangal, Vadamanapakkam, Thalarapadi, Pulundai, Pullavakkam, Booderi, Arathrivelur, Hasanampettai, Thenkazhani, Kaganam………………….. wonder what these are ? What's in a name, or two, or 6,77,459? In the case of India's villages, the list tells us they love Gods, Goddesses, nation builders and mythologies above all else, and that, when they migrate, they often take the name of their place of origin with them. Sometime back, a report in Indian Express revealed that Lord Ram ranked way up there, with 3,626 villages named after him, in almost all parts of the country except Kerala, while Lord Krishna is a close second at 3,309.There are 92 villages in the country whose names start with Bengal/ Bangal and all of them are located outside West Bengal !There are Ramayana characters, Mahabarath characters with a solitary village bearing the name of the patriarch Bhishma, that is in Orissa's Ganjam district. 'Raja' (king), 'Rani' (queen), emperors and sultans dot the list. Leaders of modern India too are a popular choice. The study of names is called Onomastics and the specific study of place names is called Toponymy. Ib River is a tributary of Mahanadi river, located in North-Eastern Central India. It joinsMahanadi river flowing directly into the Hirakud dam. In Odisha, there is a railway station having the distinction of having the shortest name – it is ‘Ib’. 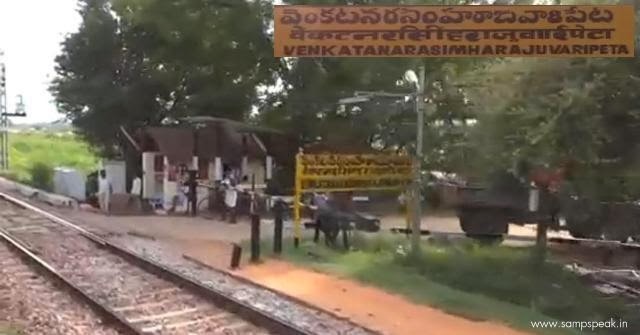 As you travel to Tirupathi from Chennai, you come across the station with longest name – it is ‘Venkatanarasimharajuvaripeta’ - sometimes referred to with the prefix "Sri" making the name longer by 3 letters. Not all would be endowed with diction as Liam Duttom displayed on Channel 4 news. Though it could have left most people tounge-tied, weatherman Liam Dutton appeared to have no problem handling Europe's longest place name. With temperatures reaching 21C, RAF Mona in Anglesey - which is just down the road from the village of Llanfairpwllgwyngyllgogerychwyrndrobwllllantysiliogogogoch - was the warmest place in Wales……….and it then fell to Mr Dutton to attempt to pronounce the 58-letter place name - which had been emblazoned across the UK weather map and even reached into the Netherlands - during the Channel 4 News broadcast. He earned many appreciations and following the broadcast, Cardiff-born Mr Dutton tweeted his followers thanking them for 'the kind words'. He said - 'Certainly in this news room, there would be a big sense of fear for some people if they had to read a word that long. So I think they were quite happy that it fell to me. 'He added that his 'knowing smile' had been mainly for the viewers, as an acknowledgment that he was about to attempt to say the famous place name, something which rarely happens. And viewers were clearly impressed with his efforts. One wrote: 'He nailed that, well done! 'Another called him a 'natural', while one viewer asked: 'How long has he practiced that? He smiles and feels satisfied after saying it hahahha'. The massive moniker dates back to the 1860s, when it was introduced as a publicity stunt to give its railway station the longest name in the UK. Cardiff-born Liam, who studied geography at the University of Wales in Swansea, now lives in London. He previously worked as a broadcast meteorologist at the BBC Weather Centre in London, where he worked across many BBC channels, including reading the Shipping Forecast on Radio 4.Earlier this year, actress Naomi Watts reeled off the place name on the Jimmy Kimmel Live show.The longestin the World is reportedly one in New Zealand : - Taumatawhakatangihangakoauauotamateaturipukakapikimaungahoronukupokaiwhenuakitanatahu !! !